Hybrid Camera Revolution: Upcoming German Film "Frauen" (Women) Shoots With 10 GH3s! Upcoming German Film "Frauen" (Women) Shoots With 10 GH3s! 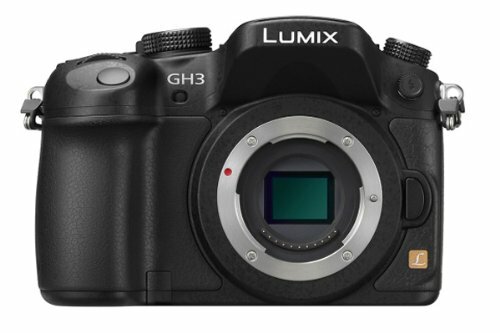 The venerable Panasonic GH2 has been the principal or backup camera for several theatrical feature films, but, as far as I know, we haven't seen the Panasonic GH3 on the cinema screen yet. There have been several cinematic shorts shot with the camera (notably the GH3 intro video, Genesis, directed by Bruce Logan, ASC and shot by Philip Bloom) - but no theatrical features. Until now. Working with Panasonic Germany, filmmaker Nikolai Müllerschön and cinematographer Klaus Merkel shot their new movie, "Frauen" (Women) with 10 Panasonic GH3 s.
Translated from German, here's the Panasonic press release, and here is a nice writeup from the Swiss film magazine fotointern. What struck me the most while reading this and looking closely at the BTS is the coverage they were able to get with 10 $1000 cameras. Not only did they spend a lot less than they would have if they had bought or rented RED or Arri - they had so much coverage, they didn't have to go back and get the second or third (or fourth) angle. This compresses the schedule and probably saved more money than they saved on cameras. This is pretty compelling math for cash-strapped independent filmmakers, and seems to be the market that Panasonic is aiming at with the GH3 (and the rumored GH4). If your project only requires 1080p resolution, and you don't need RAW, the GH3 is the absolute best motion picture camera you can buy below $1995. As usual, if anything here has helped you reach a buying decision, please click on one of the links above or the display ads below to order your GH2 or GH3 . If you don't need a GH camera right now, please shop with our other sponsors, Amazon , BorrowLenses, CoolLCD, DigitalRev , uBid , Vimeo , the the Warner Brothers Shop and others whose display ads you see in the margins. It won't cost you anything extra, and it will help to keep these blog posts coming. Thanks so much!